Follow our blog for helpful Car Care Tips every Tuesday! Once you child is at least 4 years old and weighs 40 pounds or more or has grown too tall for her car seat you can switch to a booster seat. A booster is an important step after the carseat. 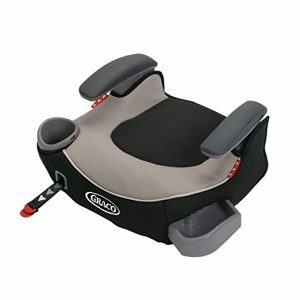 It boosts the child for a safer and more comfortable fit of the adult seat belt. Corrosion is the number one reason your battery won’t start. Keep those terminals clean to extend your battery life and avoid that awful noise of a car that just won’t turn over. You never know when you might find yourself in a dangerous situation like a sinking or burning car. And you can’t wait until it happens to be prepared. 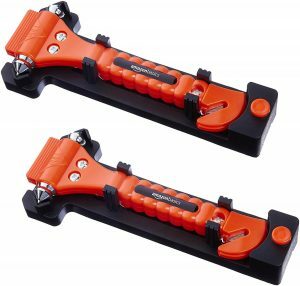 A tool like this belt cutter and window hammer can save your life. Make sure you know what to do. Many cases of back pain are caused by bad posture. Those of us that spend a lot of time in the car already know this. 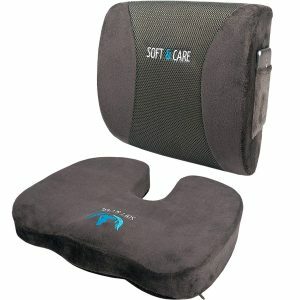 Look into a back support pillow! It’s a simply way to relieve and reverse back pain. 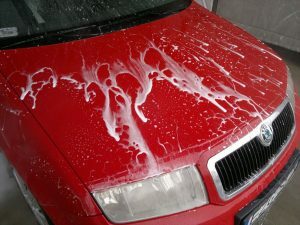 Wax can keep your paint fresh. It forms a guard against bird droppings, sap, and dirt in the air, and it slows oxidation. Applying by hand works best! There’s evidence some chemicals in air fresheners can be toxic. Try using something natural. 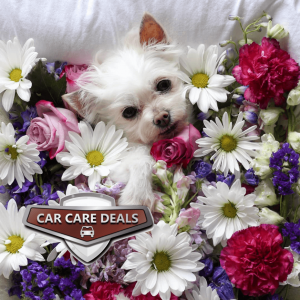 You can try filing your car with flowers, or more practically, use backing soda or a spray of essential oils mixed with water. Or just keep your car clean and roll down the windows!